½" to 4" Apollo 3-piece ball valves cleaned, and prepared for medical gas service. 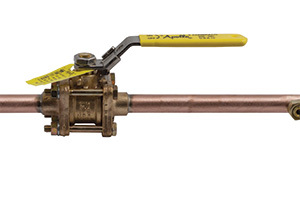 The Apollo 82/82A Series Ball valves are bi-directional. They may be installed in vertical or horizontal pipe runs without regard to flow direction or stem orientation.